This is one for the rock hounds! 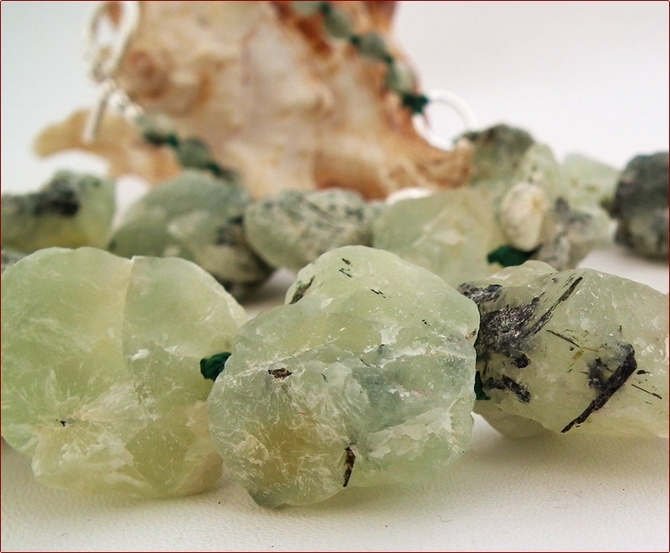 These are fabulous chunks of raw prehnite knotted together and knotted onto hammered handmade sterling silver rings. 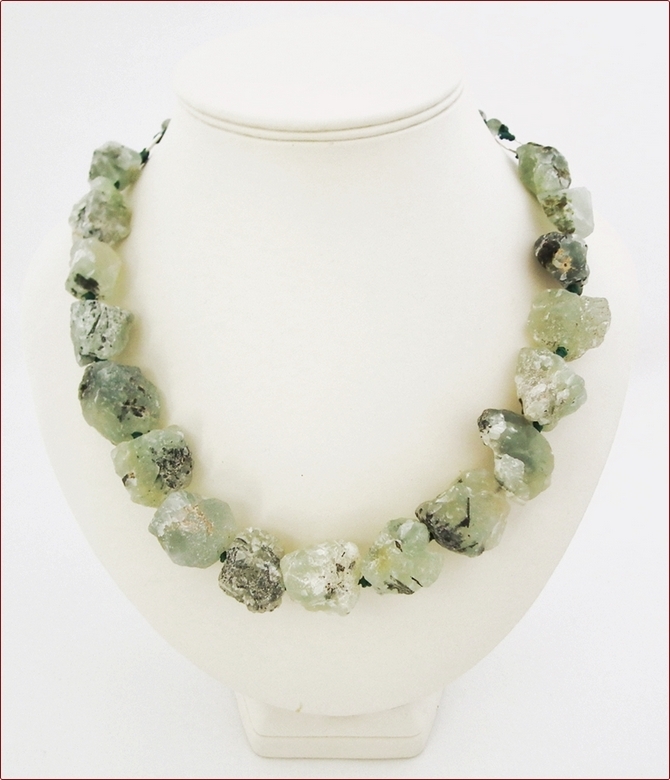 The back is 6mm round prehnite stones, to make the necklace more comfortable to wear. 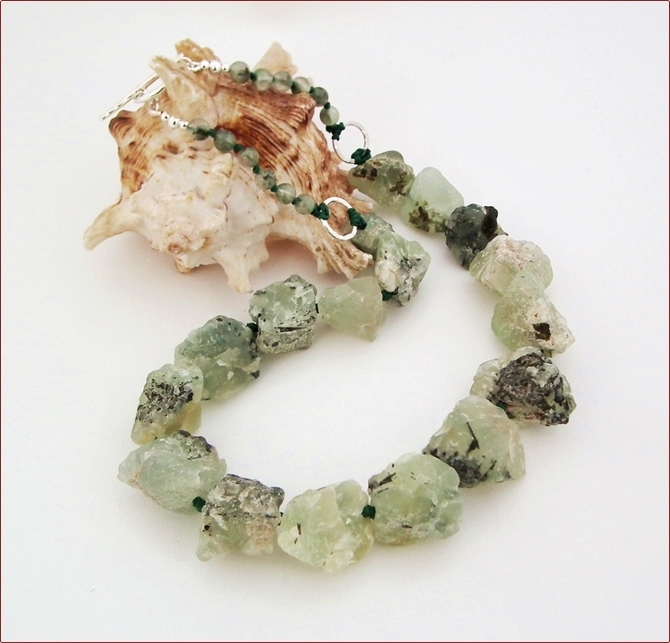 Prehnite is a calcium aluminium silicate, brought to Europe from South Africa by a Dutch military commander in the 18th century. It has a lovely soapy texture and comes in shades of jade-like green. The inclusions (the black/very dark green parts) are epidote, is a calcium iron silicate which forms needle like structures. 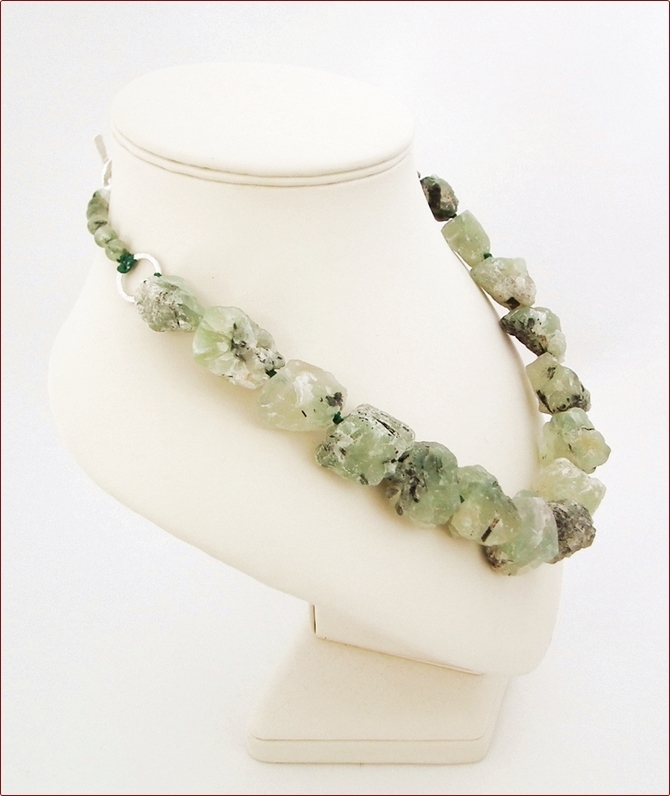 Prehnite is a hard stone and lends itself well to jewellery making. 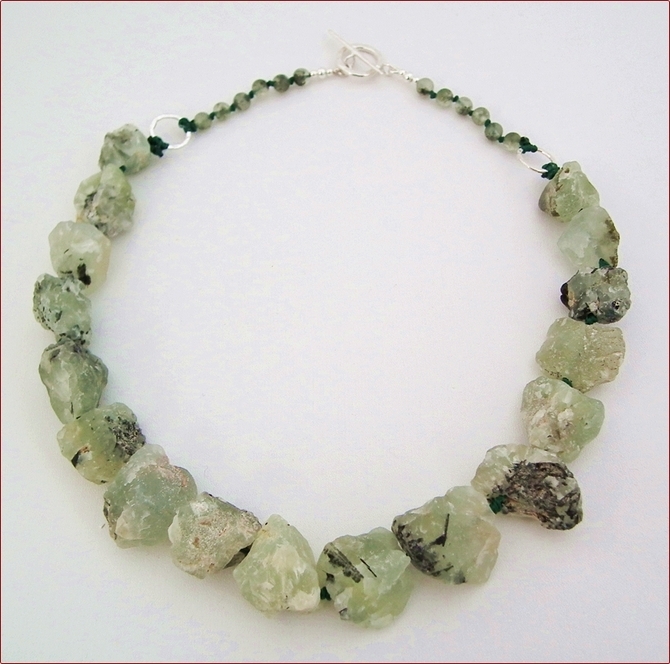 This necklace is 21" (540mm) long and fastens with a hammered sterling silver toggle clasp.